An “Orthodox Vatican” in the works? 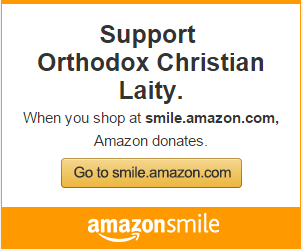 You are at:Home»Governance & Unity News»An “Orthodox Vatican” in the works? 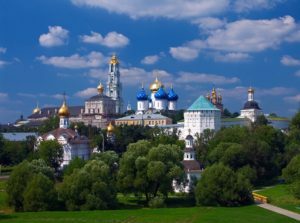 (Meduza) – The Russian Orthodox Church hopes to erect an “Orthodox Vatican” in Sergiyev Posad, just outside Moscow, that would require the demolition of several downtown buildings, according to the BBC Russian Service. Journalists learned about plans for an “open-air temple” at the walls of the Trinity Lavra of St. Sergius with a platform stage that would allow the church to hold outdoor mass. The new church will feature a library, a complex of various church institutions, a youth center, a “congress center,” and a media center. The “Orthodox Vatican” would gobble up real estate currently occupied by the Sergiyev Posad town administrative building, two hotels, a shopping mall, an outdoor market, an amusement park, and several residential buildings. They’re all slated for the wrecking ball. In August, arch-priest Leonid Kalinin (who heads the church’s art and architecture council) first announced the plans to “cleanse the town of its Soviet legacy” and transform it into “the spiritual capital of Orthodoxy.” At the time, Kalinin said the development project already had the approval of Patriarch Kirill and Vladimir Putin. The president’s administration initially ignored the BBC’s inquiries about the proposed “Orthodox Vatican,” but Kremlin spokesman Dmitry Peskov later said the matter is a regional issue that doesn’t require consent from the head of state. Officials decided a year ago to remodel Sergiyev Posad, and the “Strelka” design firm is drawing up blueprints based on a state procurement order. The plan will reportedly go to the authorities in November for approval, followed by public hearings. Town officials and spokespeople for “Strelka” say they only learned about the church’s apparent plans to build an “Orthodox Vatican” from reports in the news media. The blueprints drawn up by “Strelka” say nothing about a mass demolition of buildings in the area. The town’s plan would remove only a few “awful” abandoned homes, former Mayor Sergey Pakhomev told the BBC. Sergiyev Posad, meanwhile, still hasn’t located funding for its remodeling project. Next Article What will an autocephalous Ukrainian Church mean to us? Oh please! “Orthodox Vatican” – where did that come from? The ROC have made no such claims. 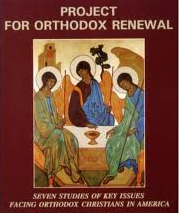 Spiritual “centre” of Orthodoxy in Russia – that I can believe.